Set to become a must have mains cable design, combining the properties of 19364 and 83803 to give a true audiophile mains power cable suitable for DIY power cords. Priced per metre. The cable is constructed from 3 x 2.08mm sq (14 AWG) oxygen-free copper conductors and incorporates the patented Beldfoil® Shield (which is in constant contact with the internal drain wire). This forms a ground loop to trap unwanted mains interference and keep it safely at the plug end of the cable, away from interaction with any equipment. Our top selling and most popular cable by far, due to its superb value to price ratio. The belden 83803 is a close 2nd to the 19364 and uses a slightly different construction this high-quality power cable has become the leading wire for high-end custom-designed power cables. 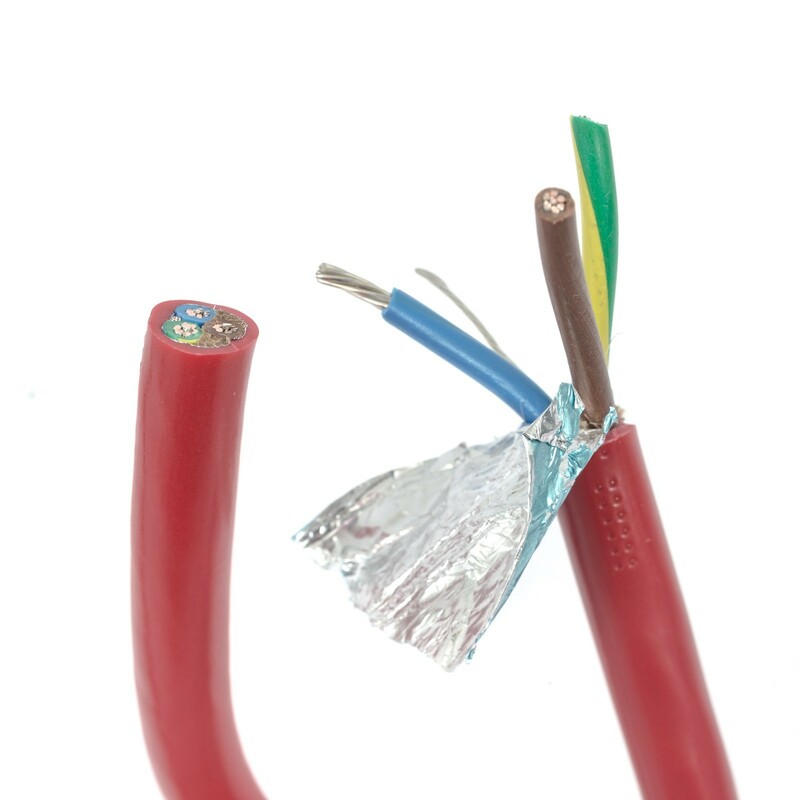 Belden 83803 is a 12 AWG cable that features (7×20) tinned copper conductors, Teflon® insulation, 100% Beldfoil® Shield with 85% tinned copper braid shield and a Teflon jacket. NOW MCRU BRING YOU A GENUINE NEW BELDEN CABLE THAT COMBINES THE BEST QUALITIES OF 83803 AND 19364. THIS CABLE HAS BEEN MANUFACTURED BY BELDEN USA AND IS A CROSS-BREED OF THE 2 BEST SELLING BELDEN MAINS POWER CABLES. 11.5MM OUTSIDE DIAMETER. This new cable features the beldfoil shield and flexiible drain wire and is as flexible as 19364 but it features thicker conductors the same size as the 83803 (12 AWG or 3.29mm sq) which gives you the flexibility of 19364 with the improvement diameter conductors of 83803, truly the best of both worlds. MCRU are the sole UK dealer for this cable, we have constructed power cables using it and can report that it will fast become the default mains cable for DIY, it is a true audiophile bargain and is destined to become the new “must have” cable. It is colour coded to UK specification and is sold by the metre. Rated up to 600V. It fits inside most of our plugs and IEC connectors however we recommend using quality connectors such as Furutech to bring out the best performance. Very open and natural sounding with good bass slam. Recommended for Power Amplifier and Power Socket. But enough flexibel for all other components as well. I had other expensive Cables from the reel before. This is by far the most musical and balanced cable. In combination with the best available Plugs (Oyaide) it won’t get any better.